Joan wrote poetry starting at a young age. Needless to say, the excitement of the Christmas season appears in her verse throughout her childhood and teenage years. 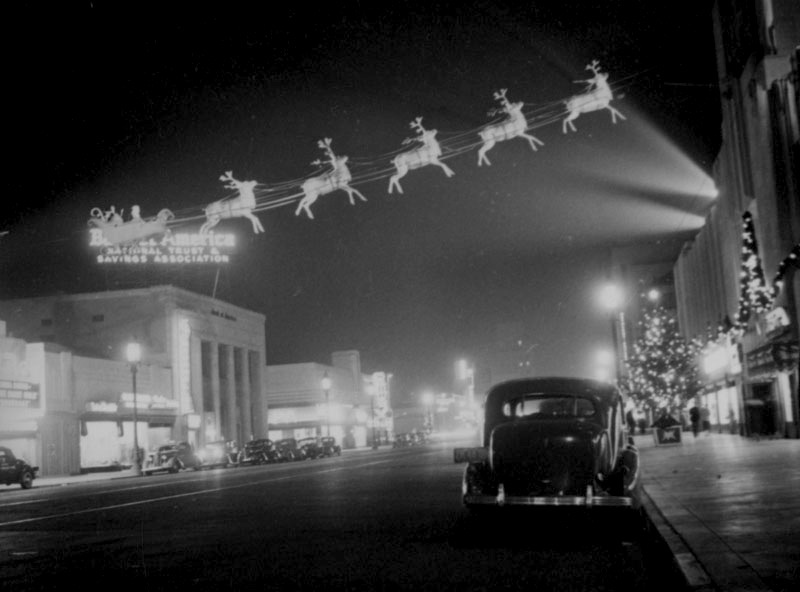 Wilshire Boulevard in 1937. Can that be Santa and his reindeer? When the shepherds came with morn. Led the shepherds there aright. Stars that shine will ever last. Shine and never once again? While the Wonder Star looked down. Honor to His Holy Name. 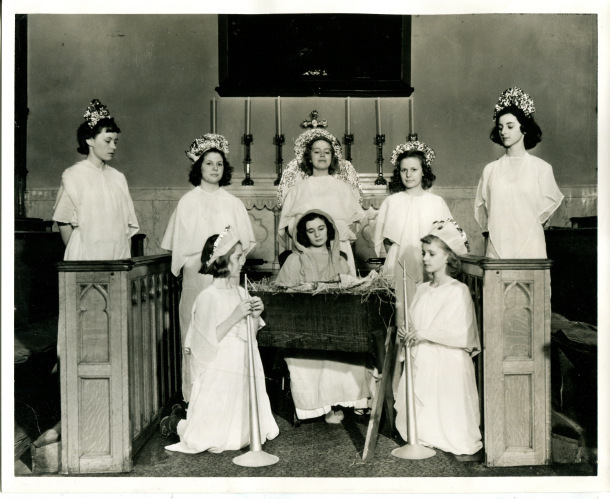 In 1938, she portrayed the Virgin Mary in the Christmas Pageant at her church. Joan as the Virgin Mary in 1938. May your season be peaceful and filled with joy! Joan was a poet as well as a diarist. Two days after Pearl Harbor was bombed, Joan wrote this poem at age 18. She loved Homer and the Iliad, and frequently saw the political events around her in terms of the history of the past, particularly the destruction of Troy. The USS West Virginia burns and sinks after the Japanese attack on Pearl Harbor, Hawaii, on Dec. 7, 1941. (Handout, Reuters). From the Chicago Tribune. Or whose lead now and carefully repair our rouge. By great black headlines, by the screaming boy. Or are so deep that it cannot. And lie down to die with dignity. We are as calm as we were calm in Troy. 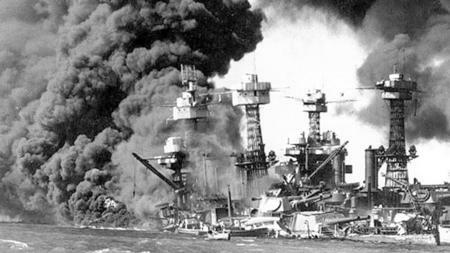 Pearl Harbor was bombed on December 7, 1941; the United States officially declares war on Japan December 8 and on Germany and Italy on December 11. Congratulations to Alison Twells on being shortlisted for the Tony Lothian Prize for her unpublished biography of her great-aunt, Norah, who lived through WWII and wrote about it!